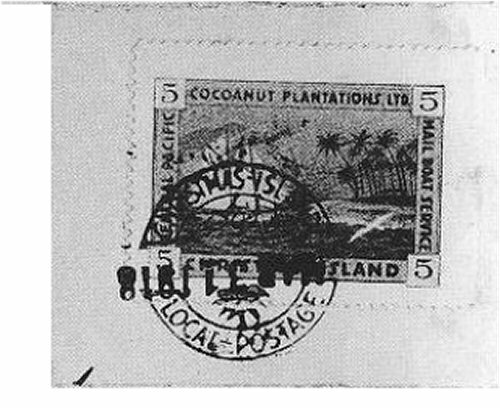 Local covers in the first years. 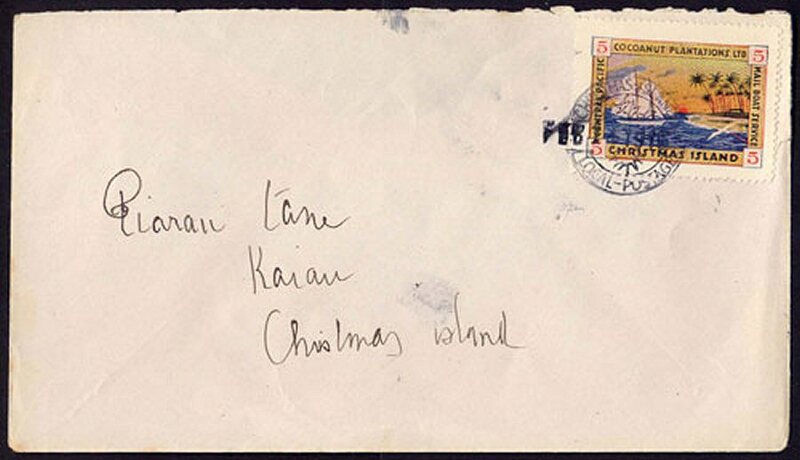 16 January 2019: 54 covers. 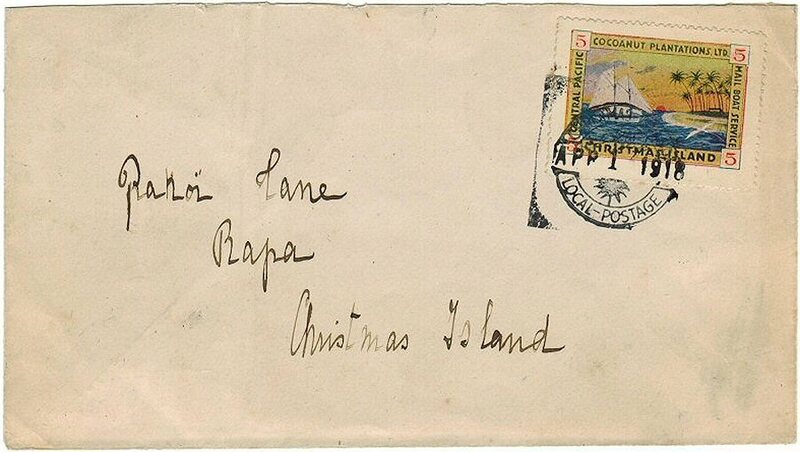 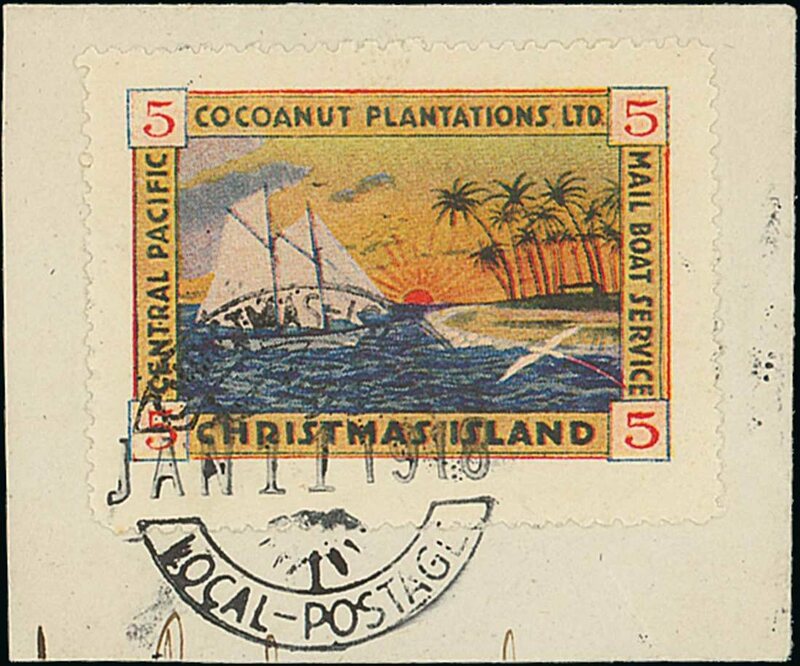 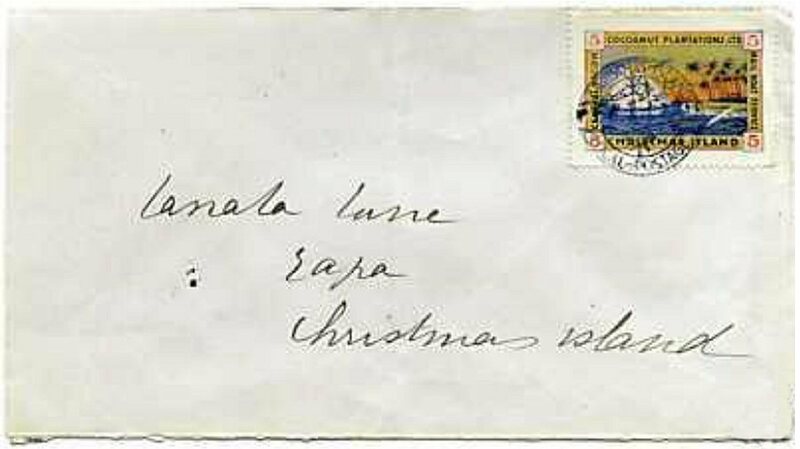 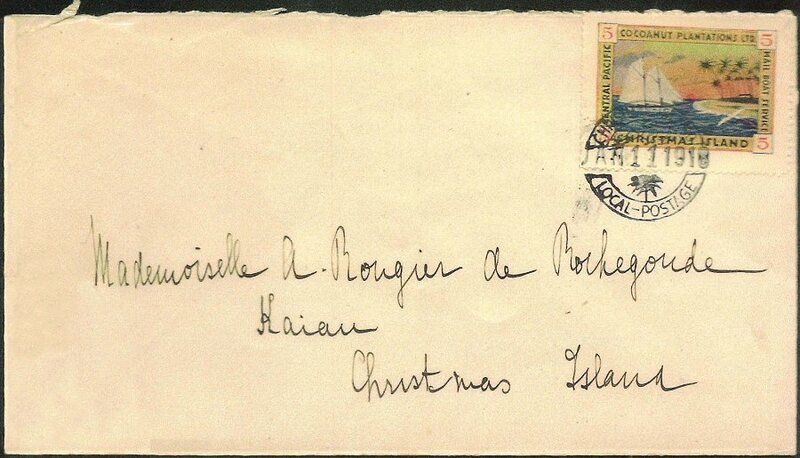 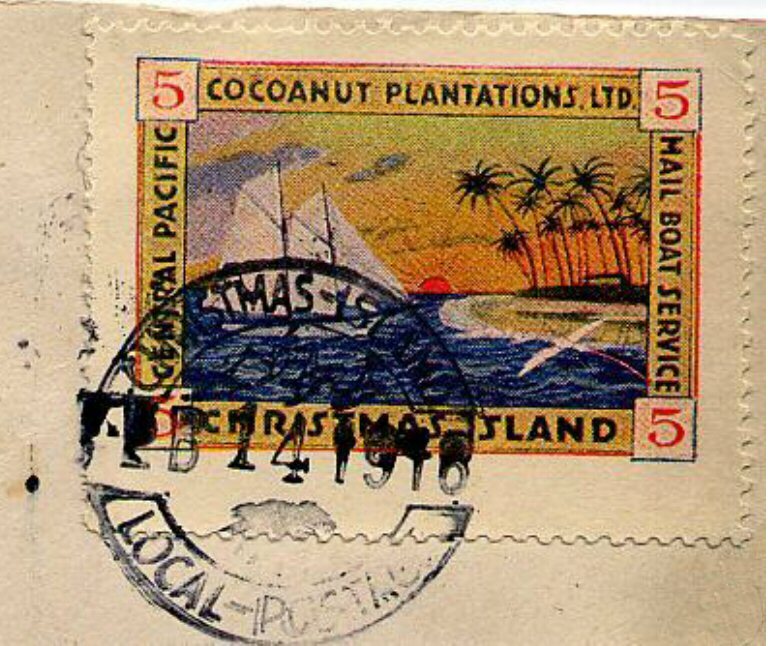 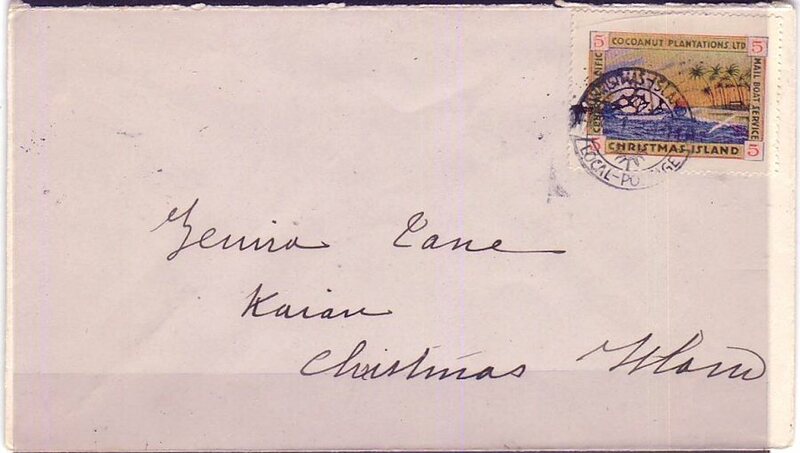 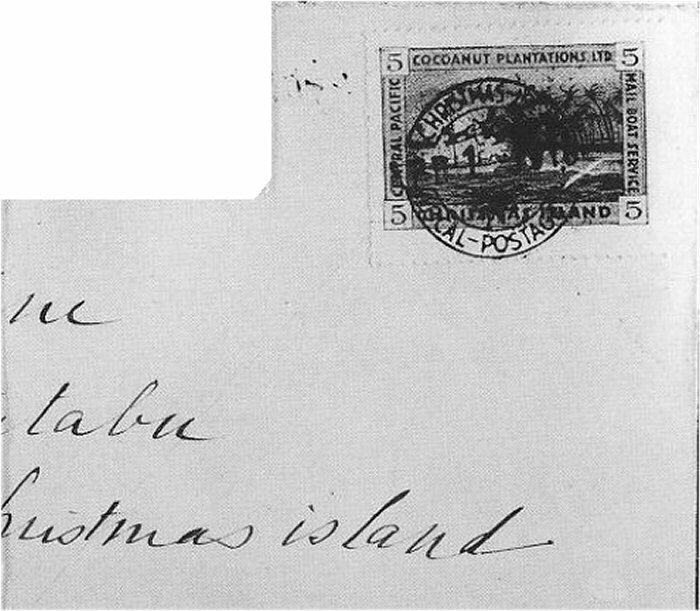 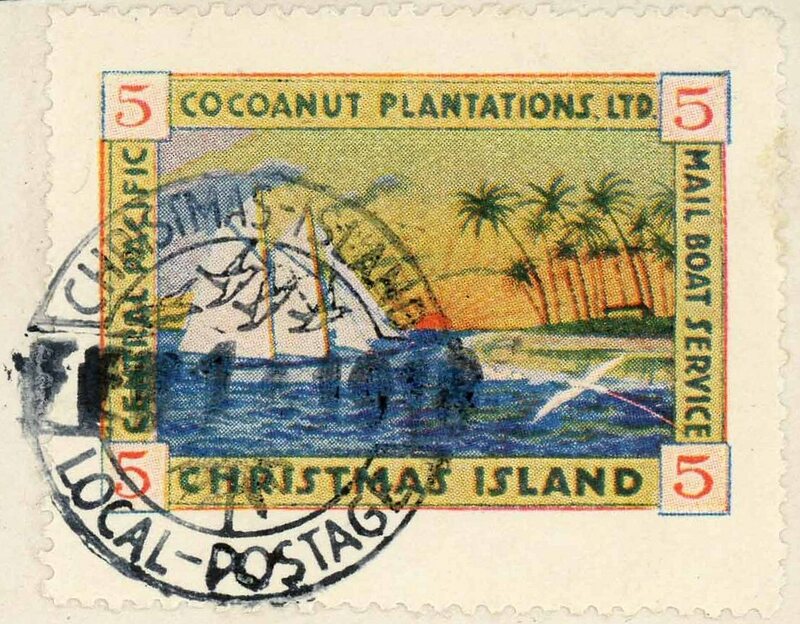 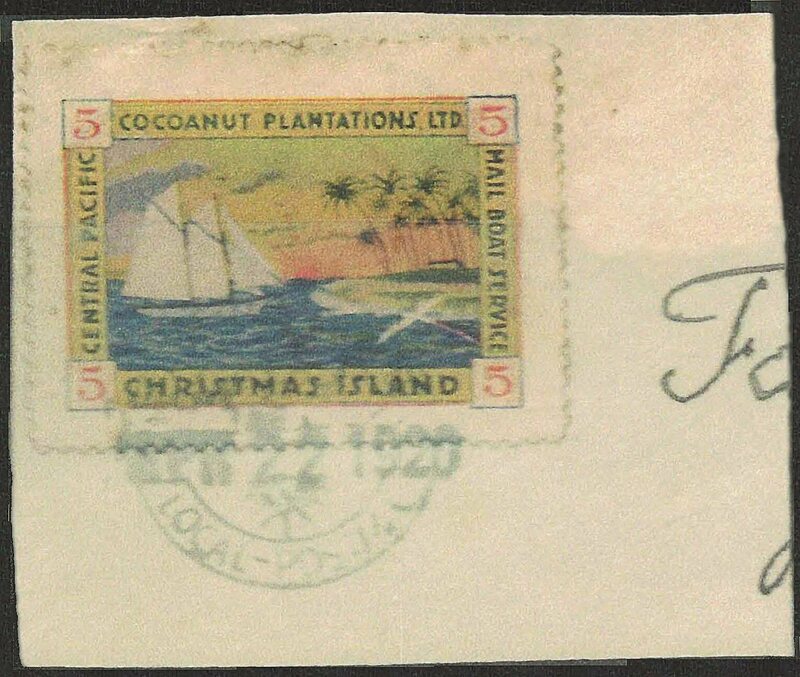 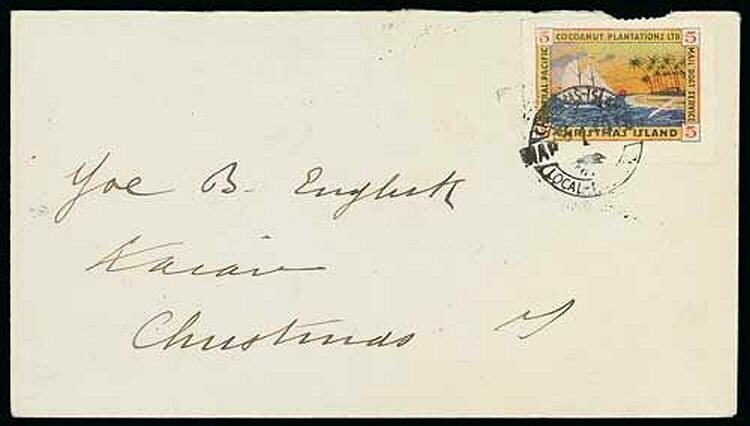 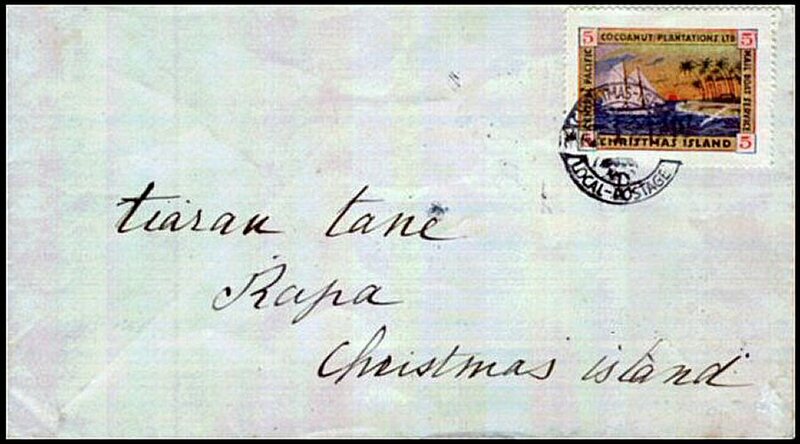 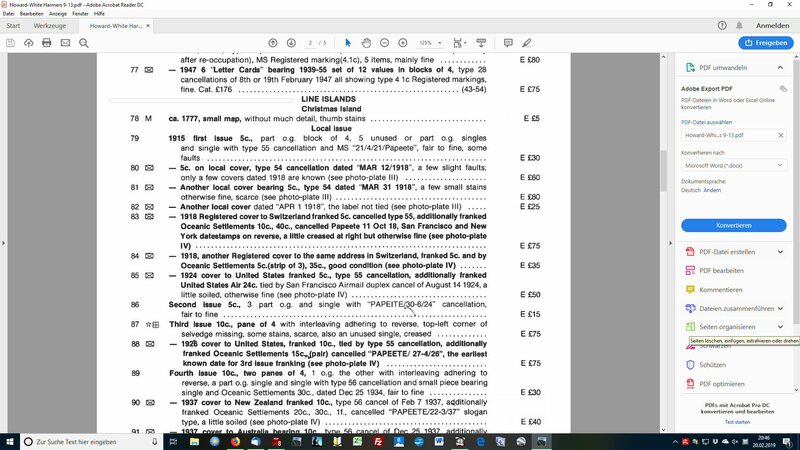 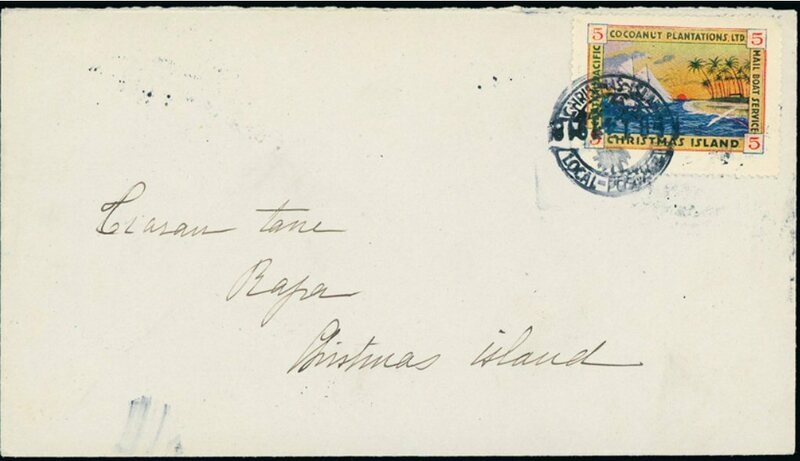 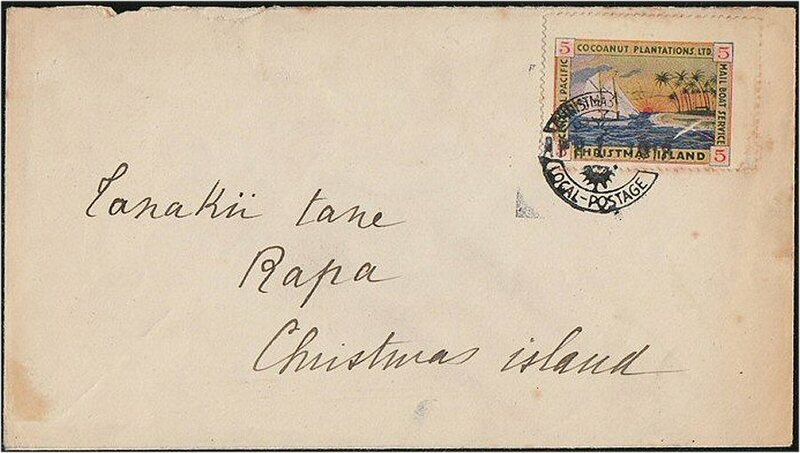 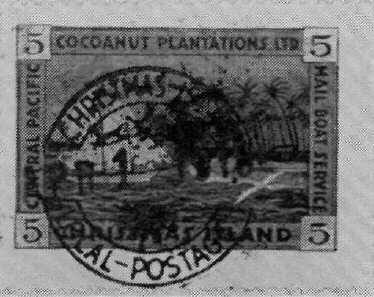 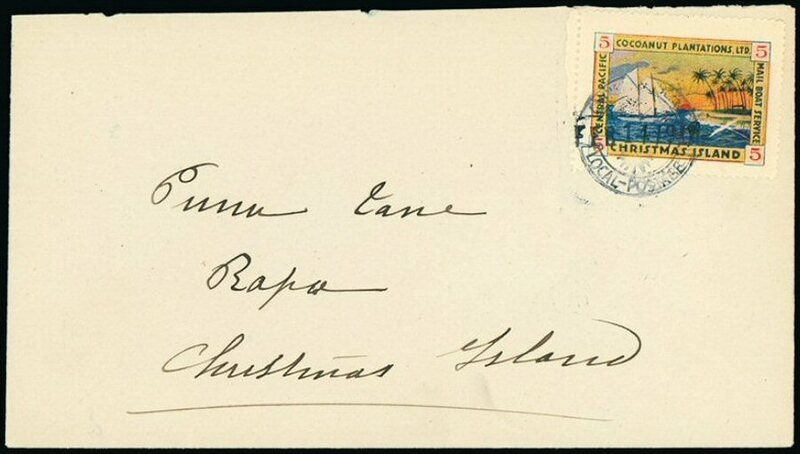 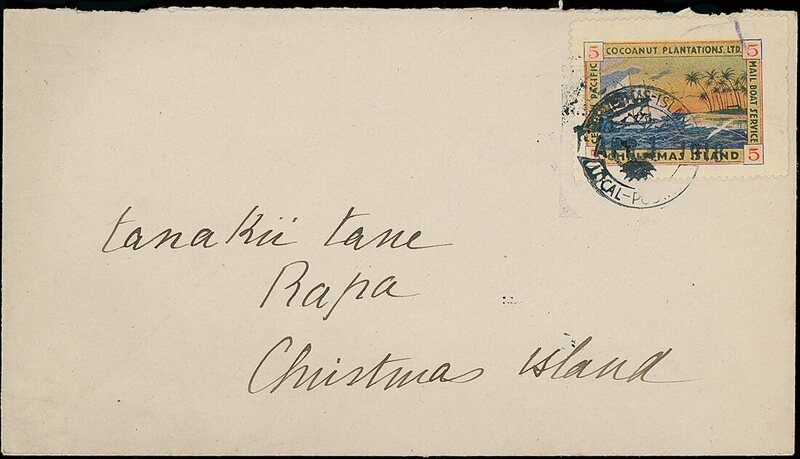 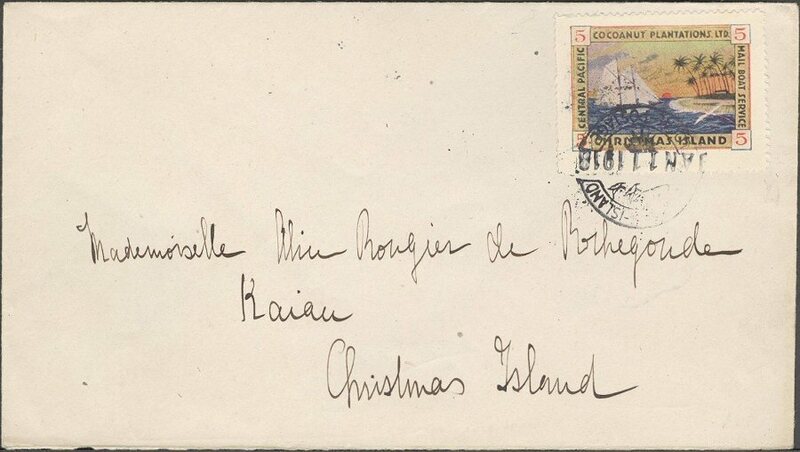 So far this date is the first known date of use of the Christmas Island Local. 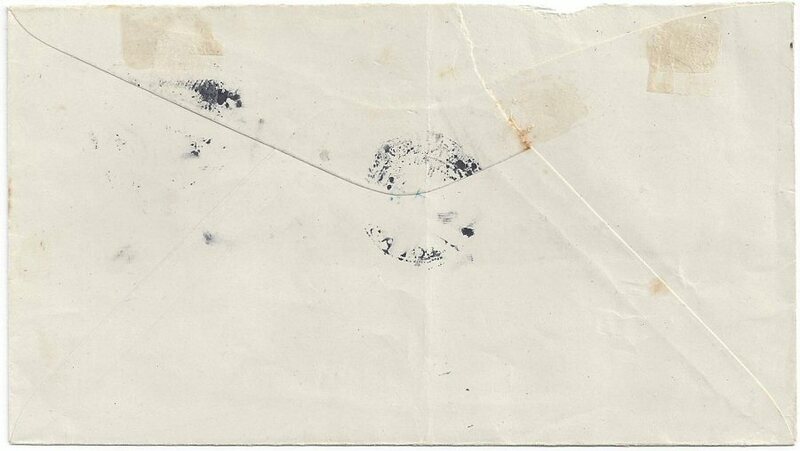 Local (letter) #MA03a - 5c on piece. 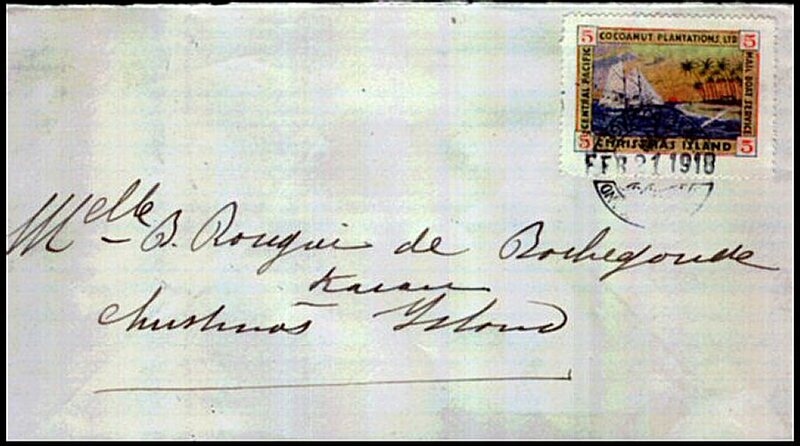 According to the three upper parts of the address this piece was part of a letter to "Mademoiselle Rougier de Rochegoude" too. 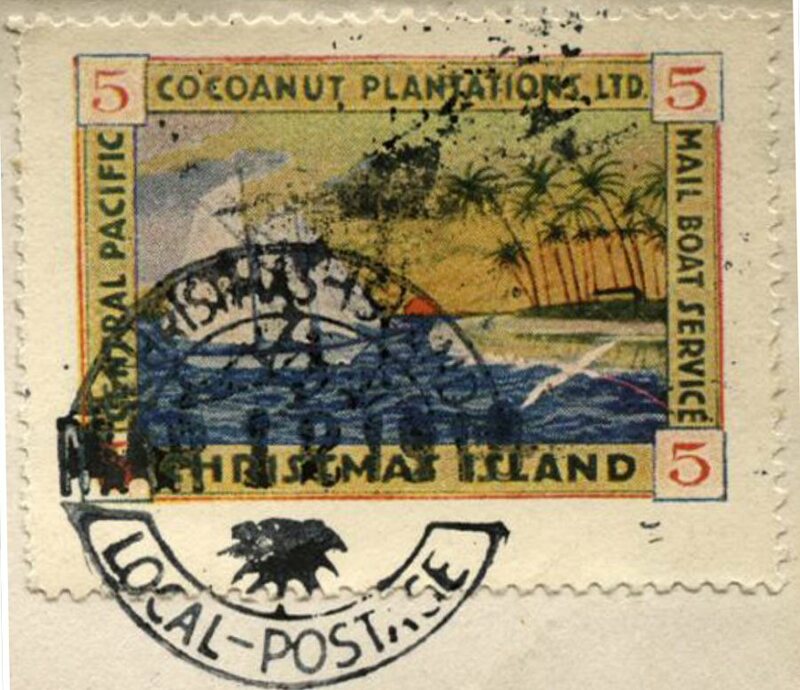 Accordingto a map from E. Rougier, Moututatu was an island in the lagoon. 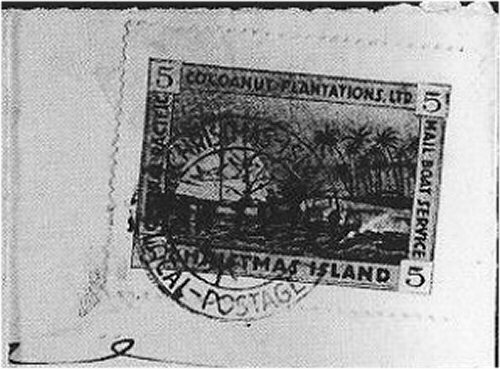 Kaihau may have been the place at the southern point of the entry to the lagoon, later named Paris and Tarawa may have been a place at the north of the entry, later namen London. 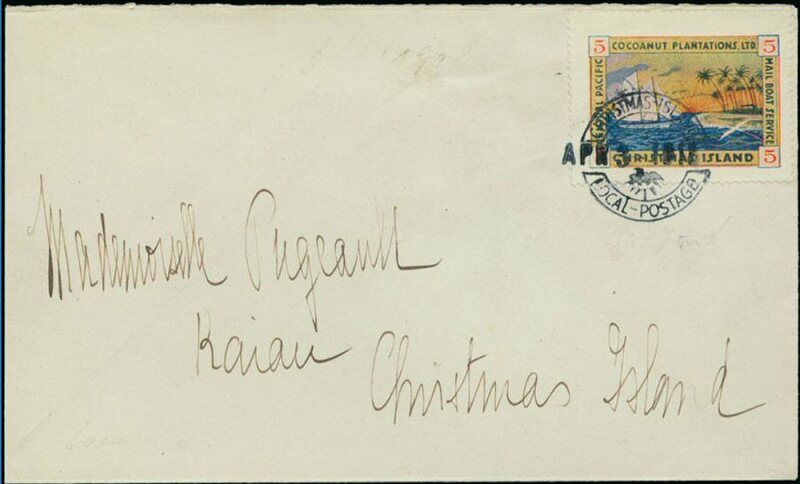 I found this cover offered in the October 1995 Christies Auction for an estimate of AU$350-450 - realised: 220. 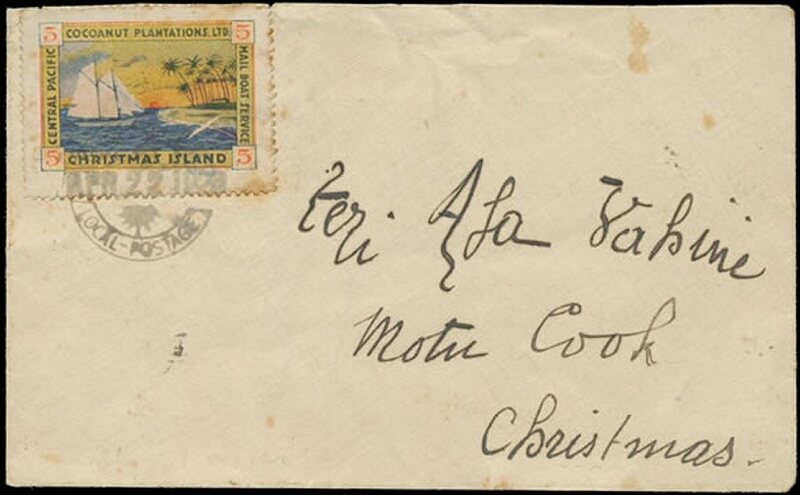 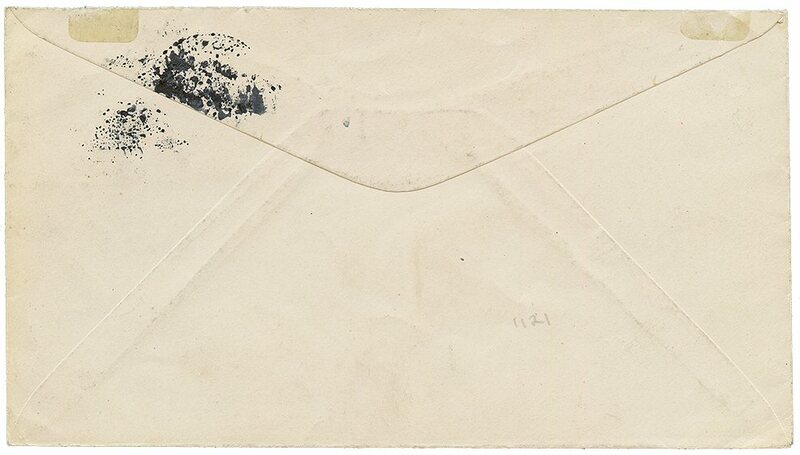 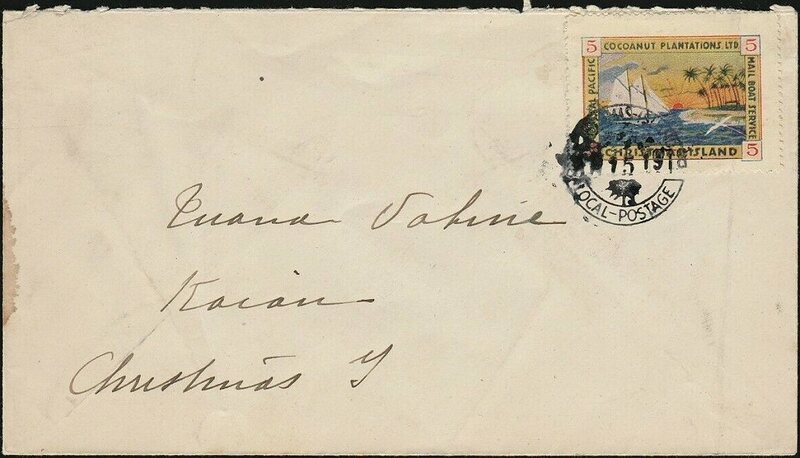 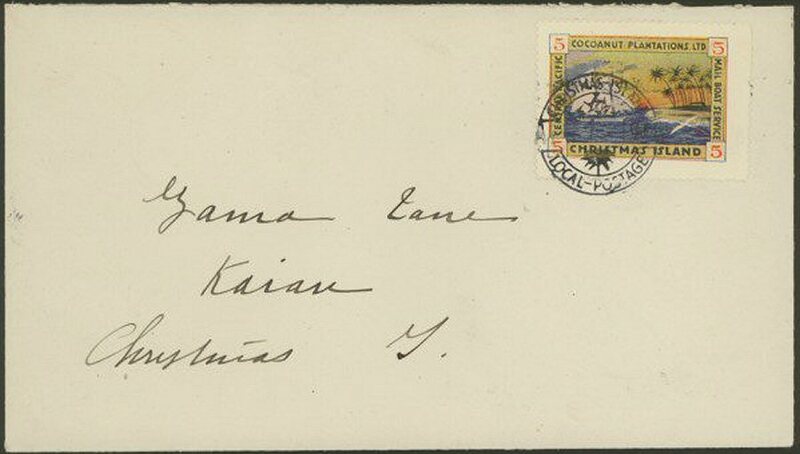 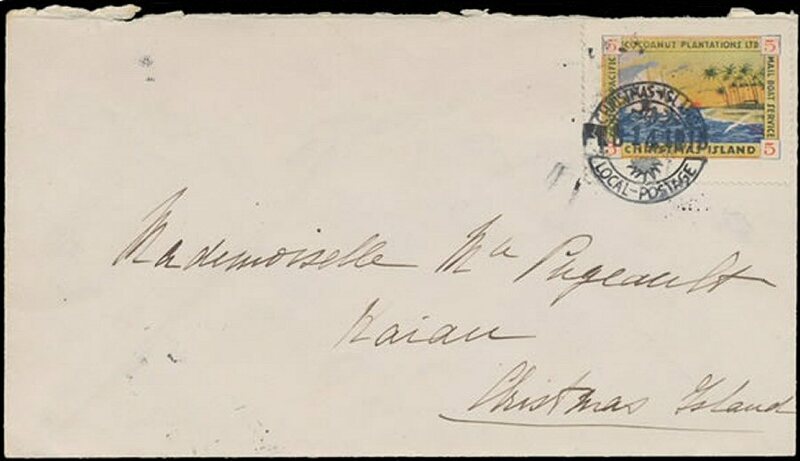 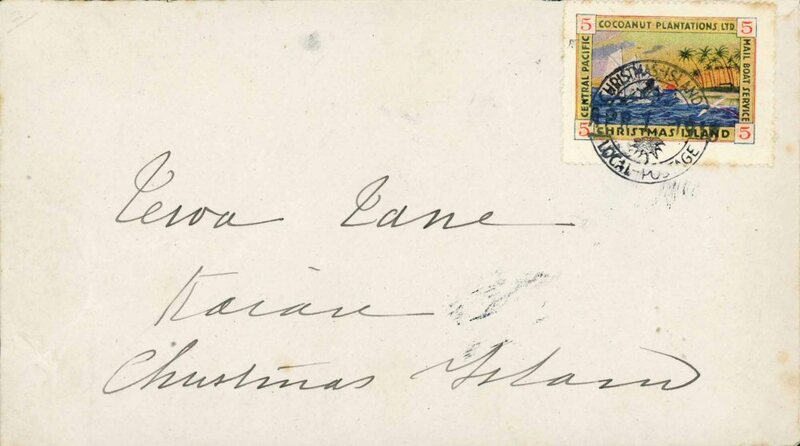 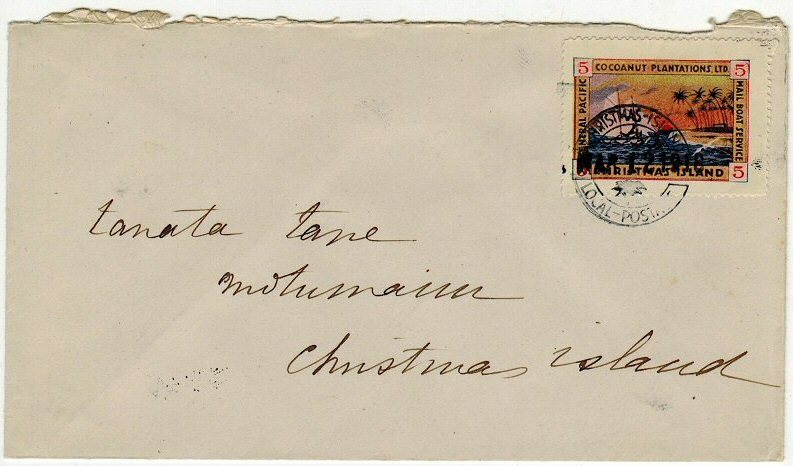 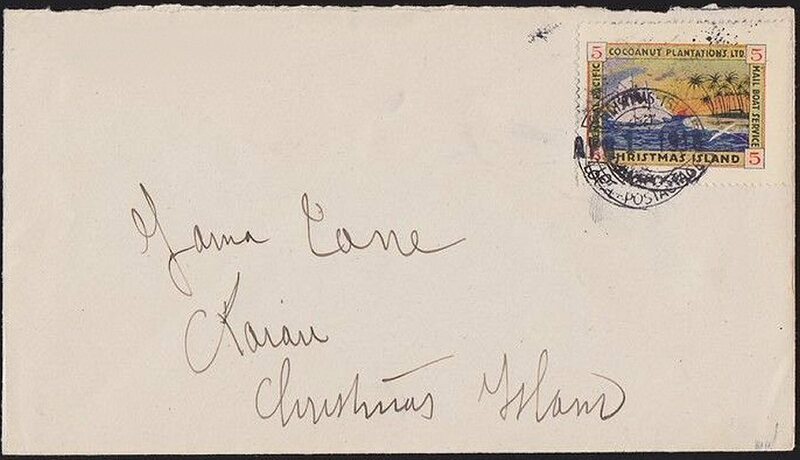 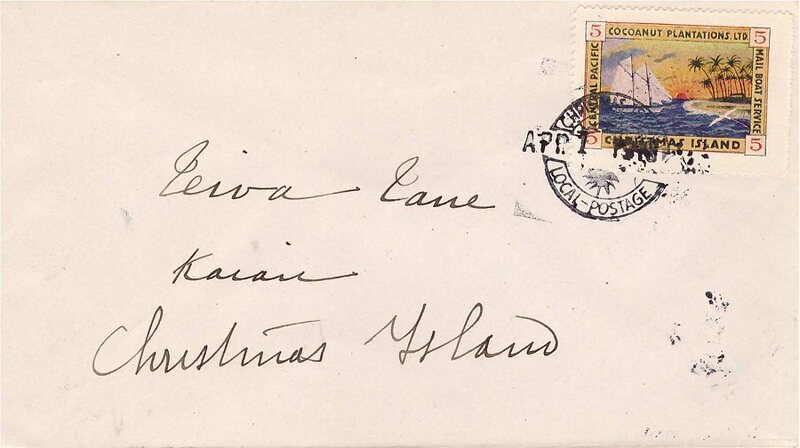 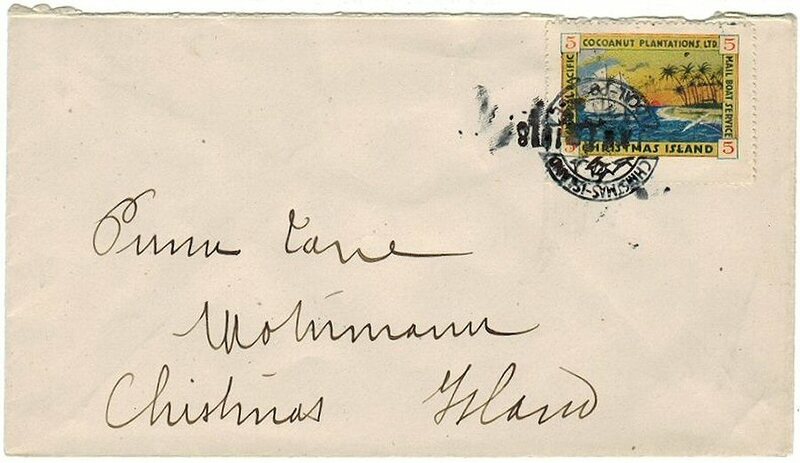 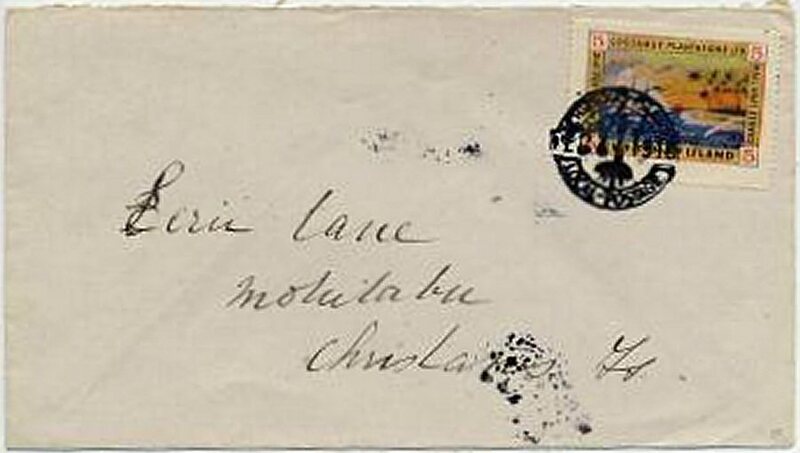 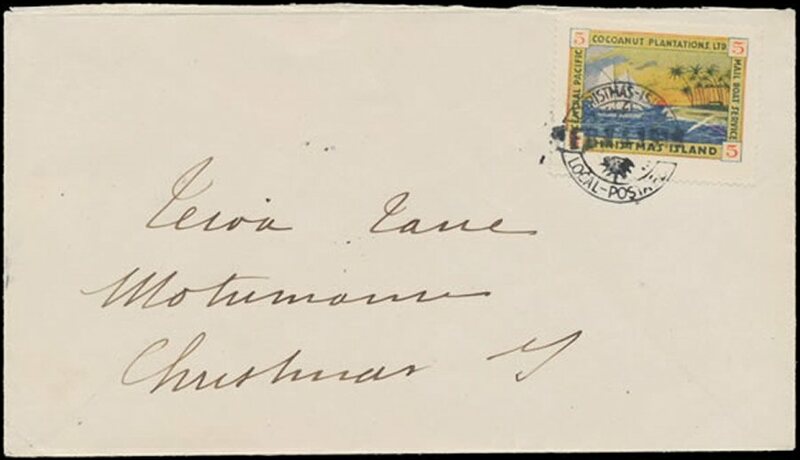 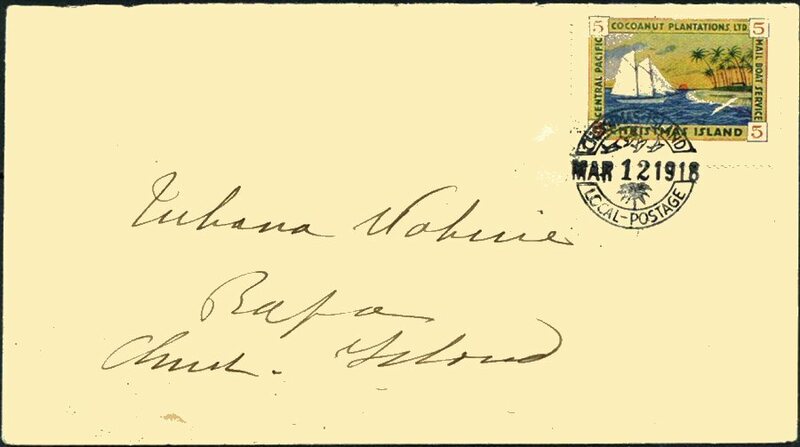 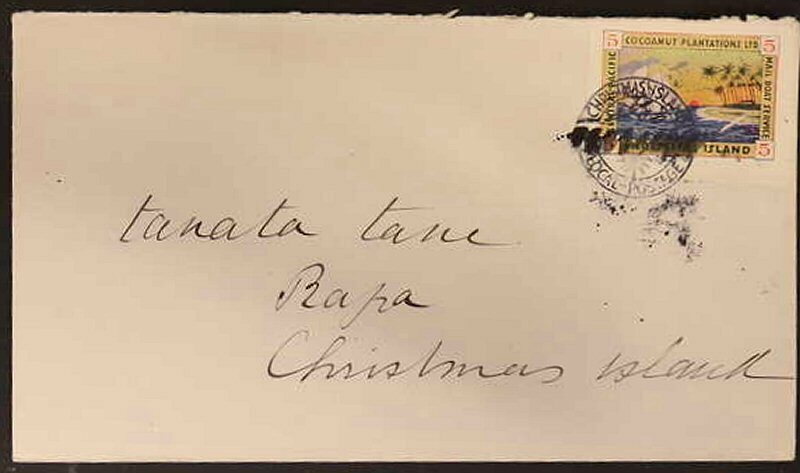 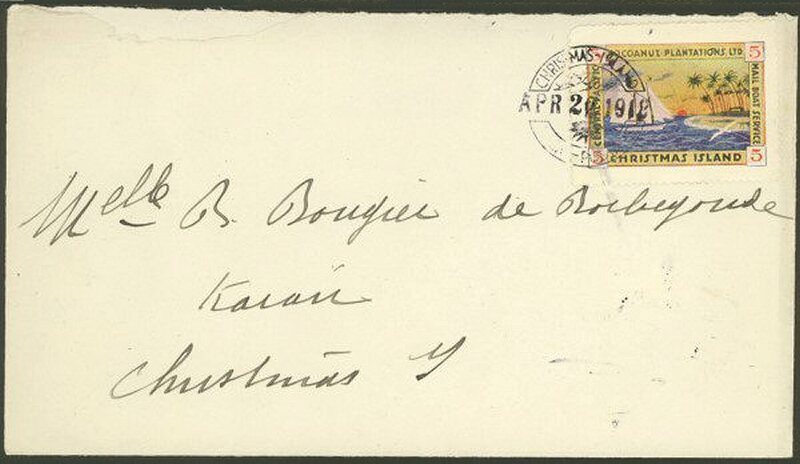 Local letter #MA16 - date handstamp inverted in cancel. 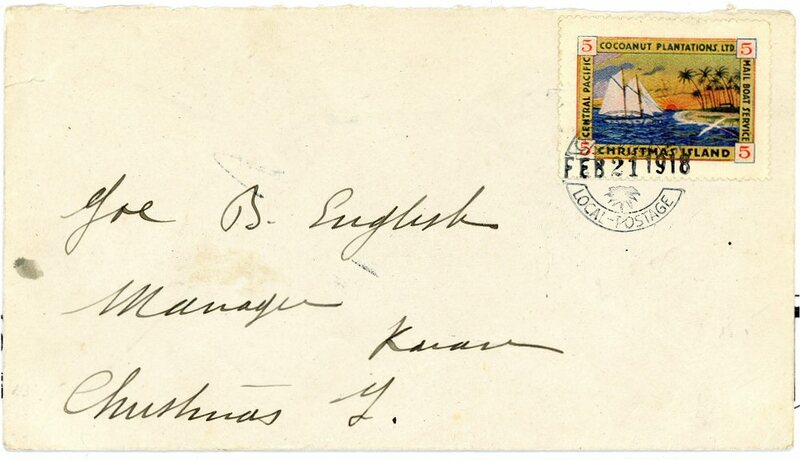 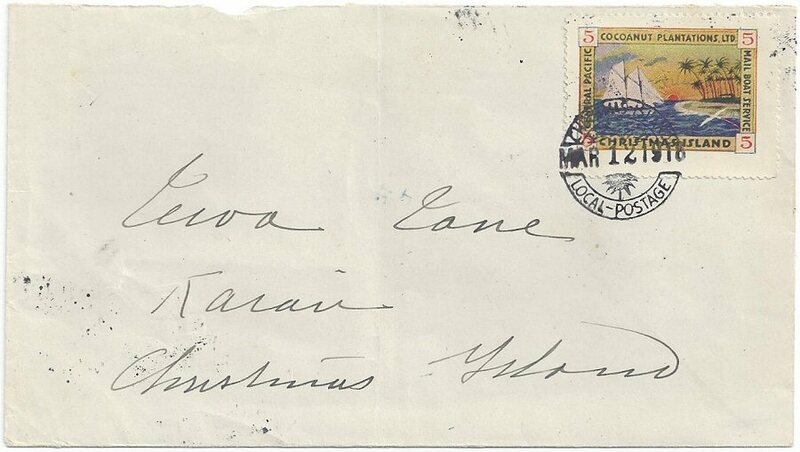 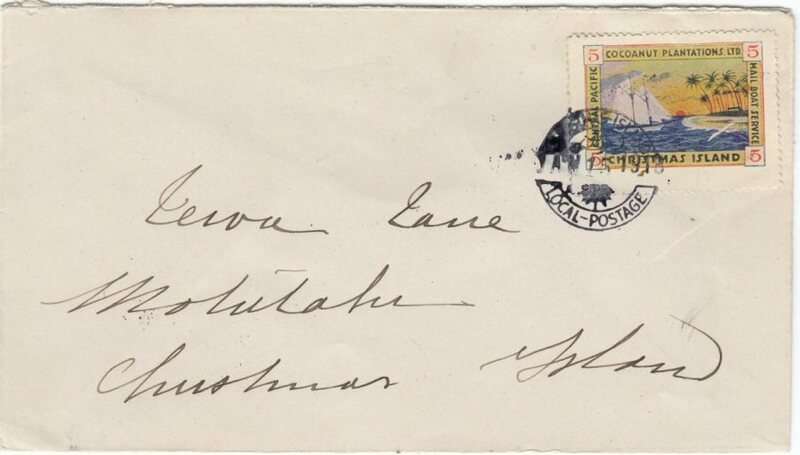 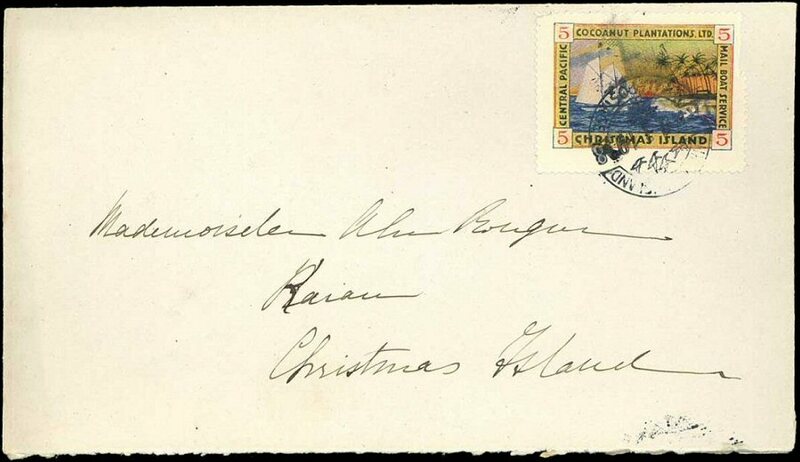 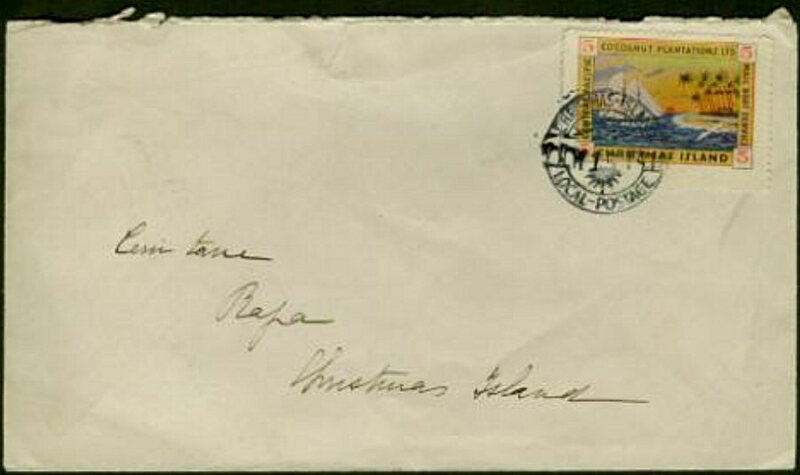 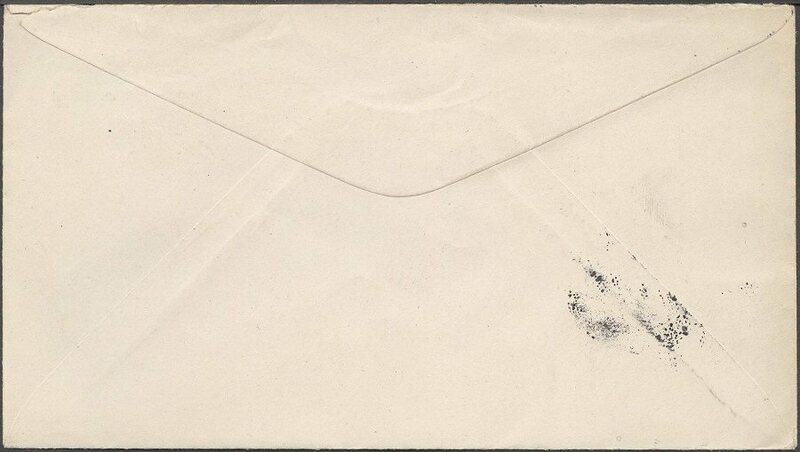 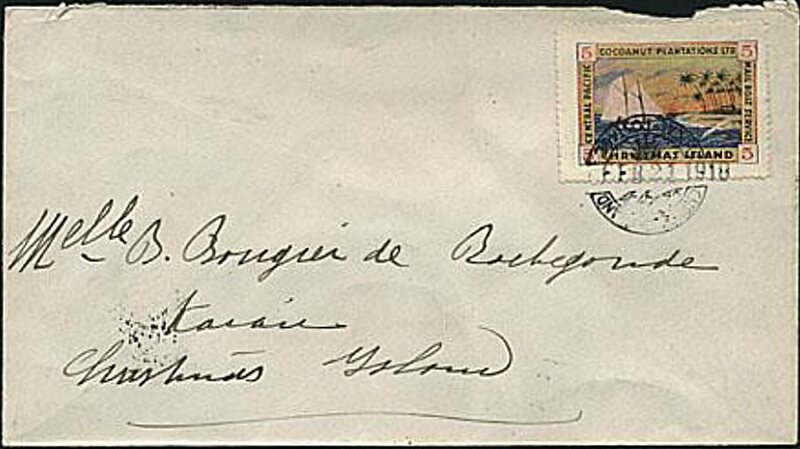 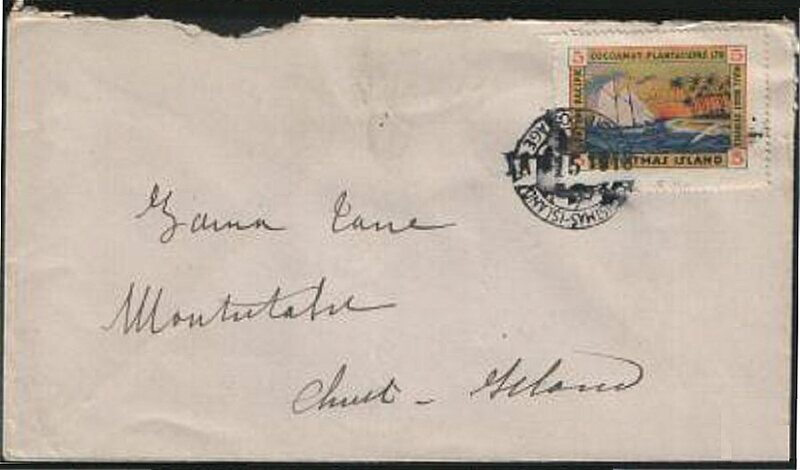 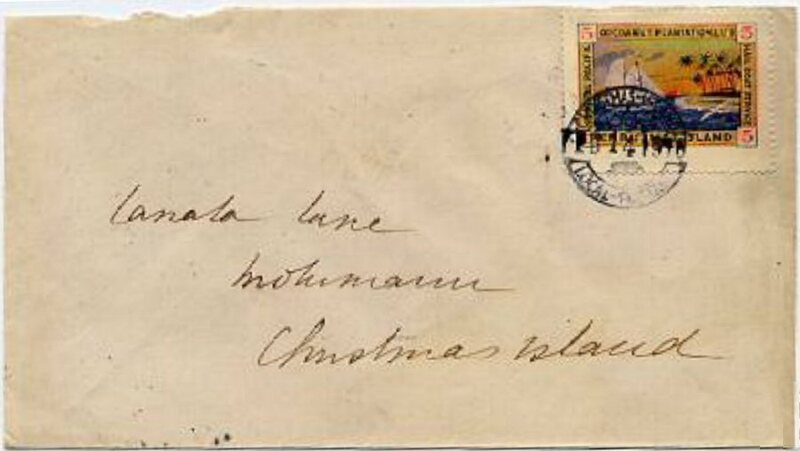 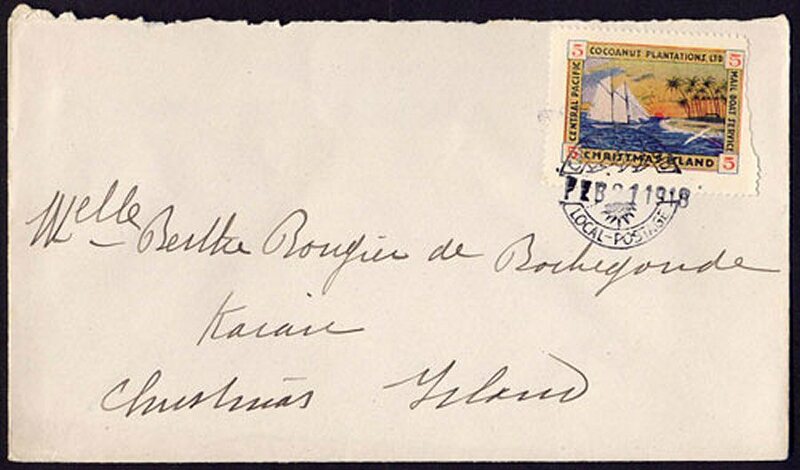 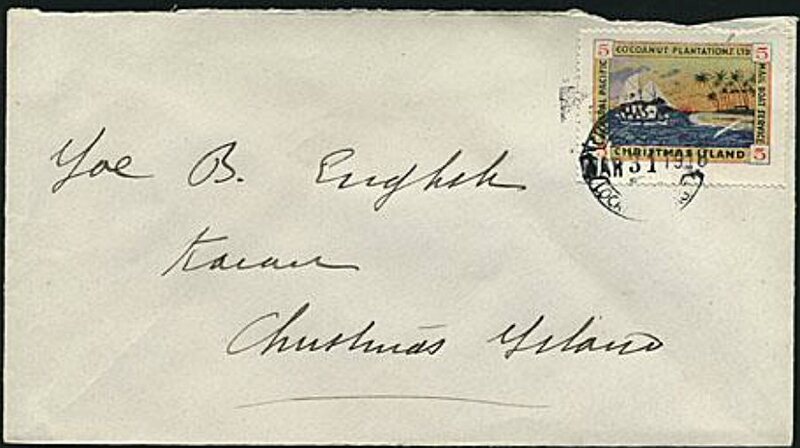 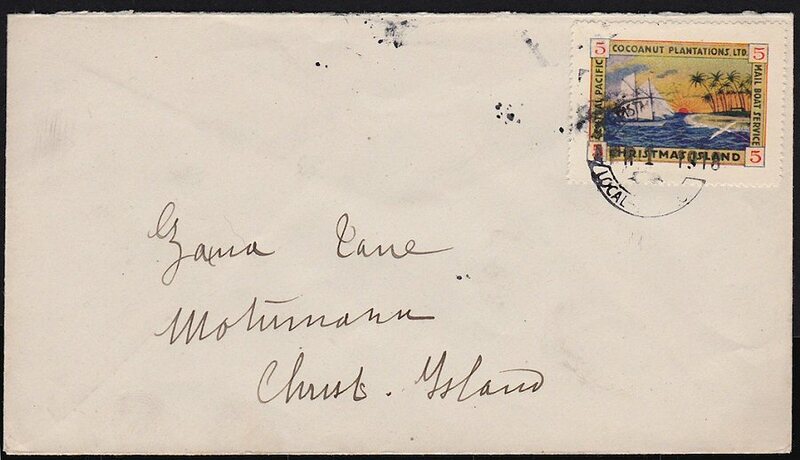 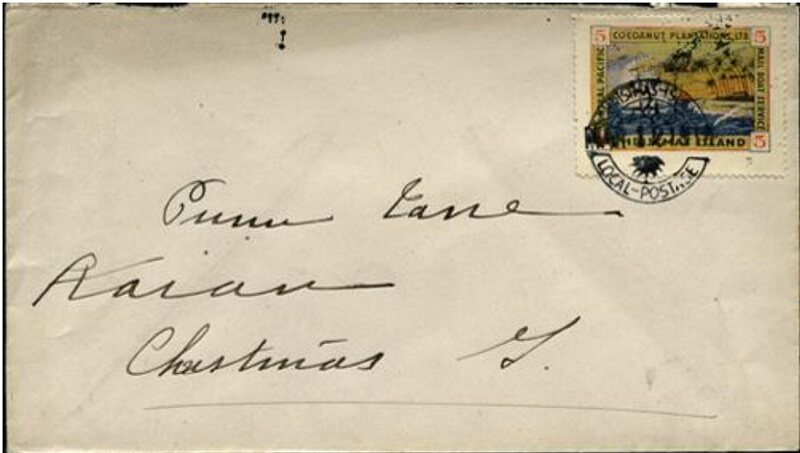 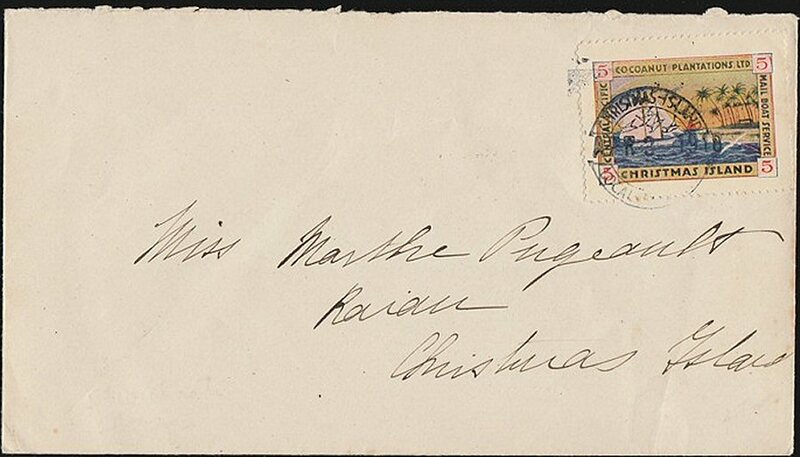 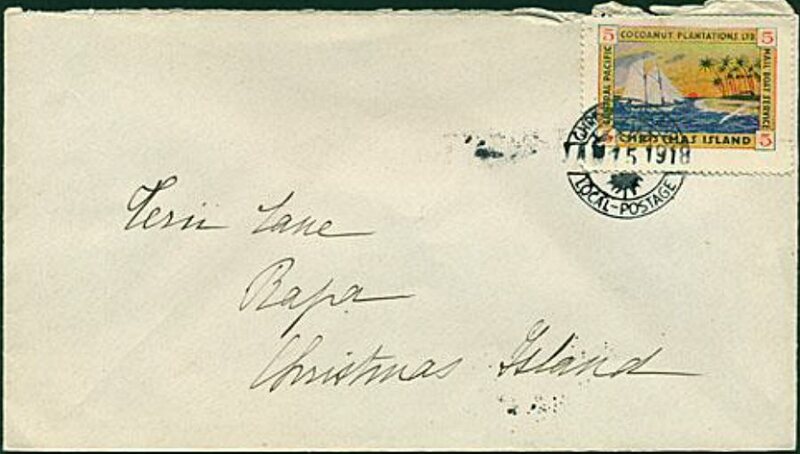 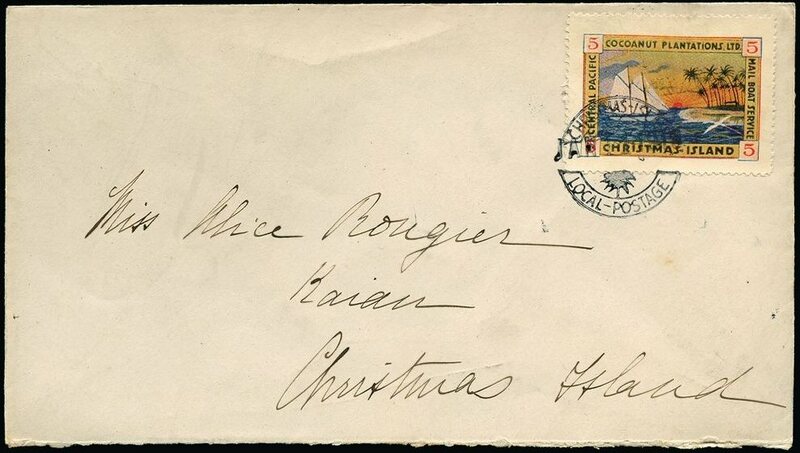 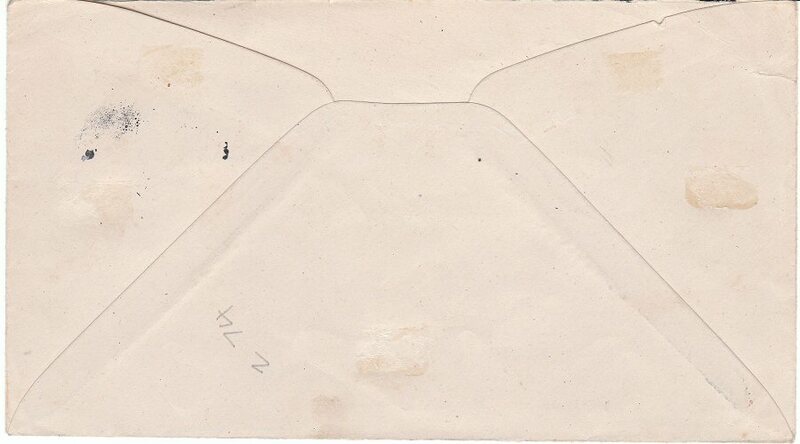 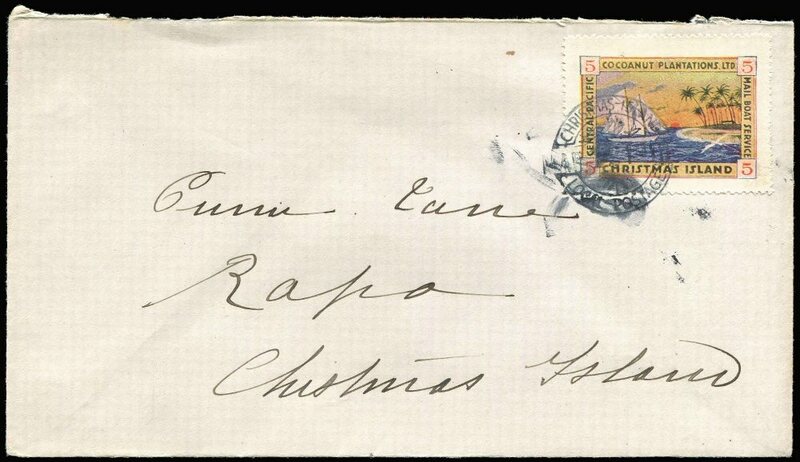 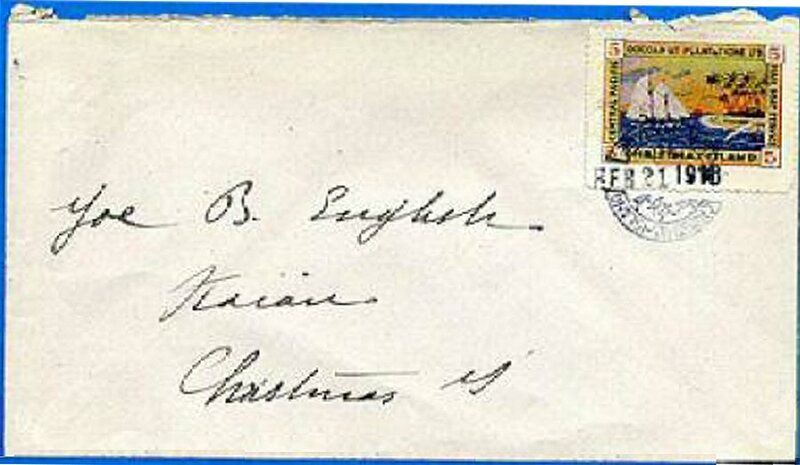 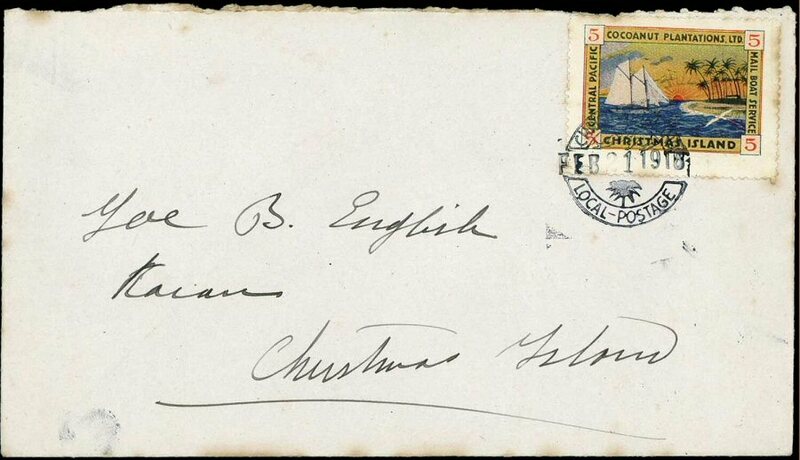 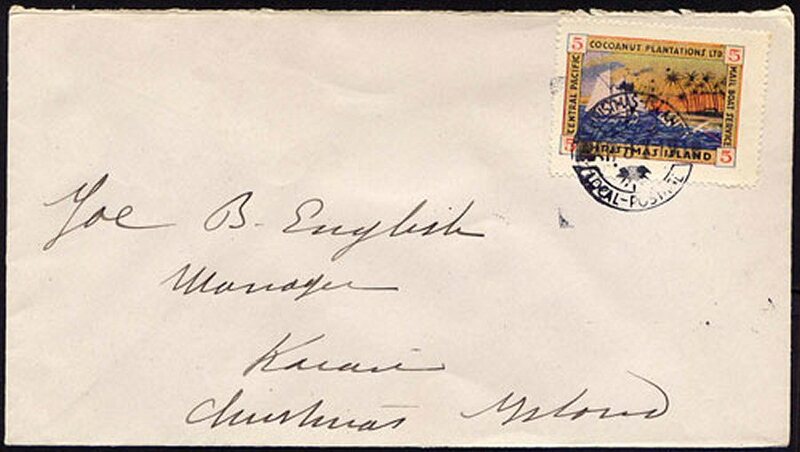 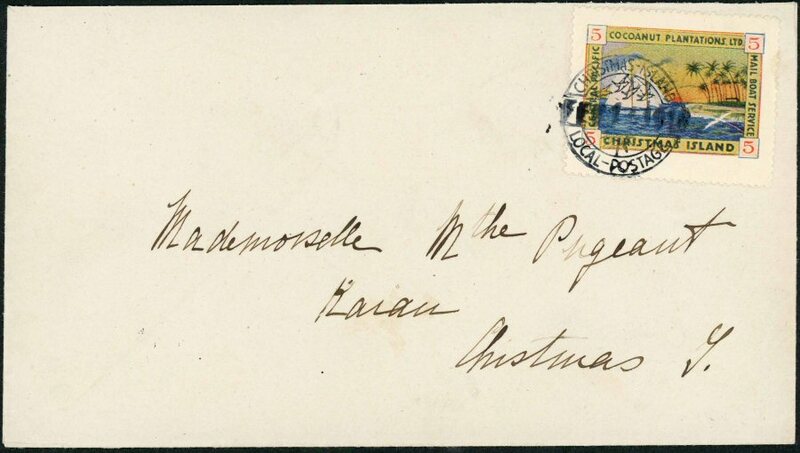 Reverse: the copy of the postmark here shows that there was kind of a mass production of these covers. 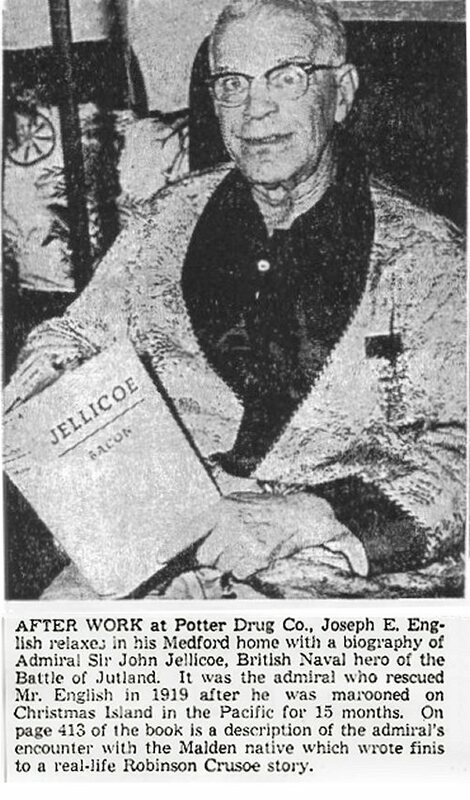 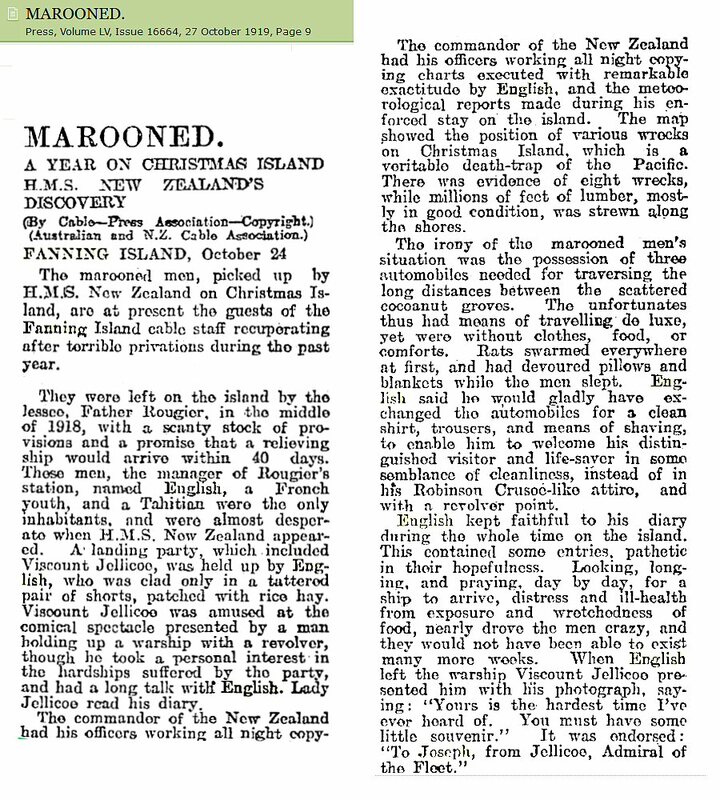 More of the J. English story in menu "Literature"
Contribution of a Christmas Island collector. 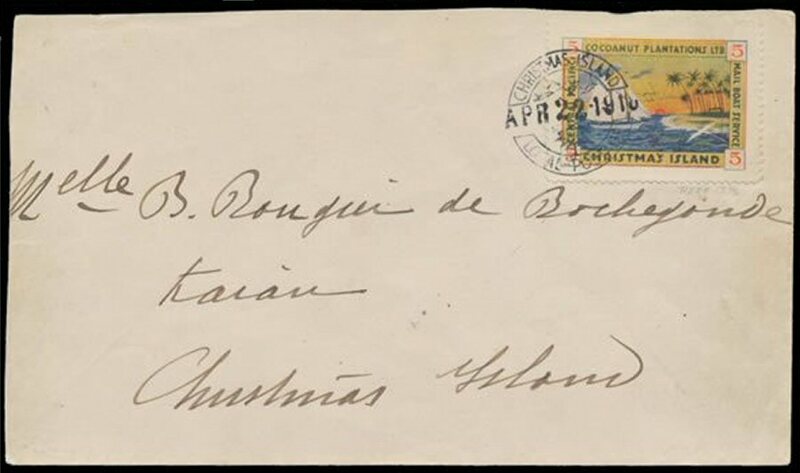 The three principal settlements are called London, Paris & Poland, named by Father Rougier. 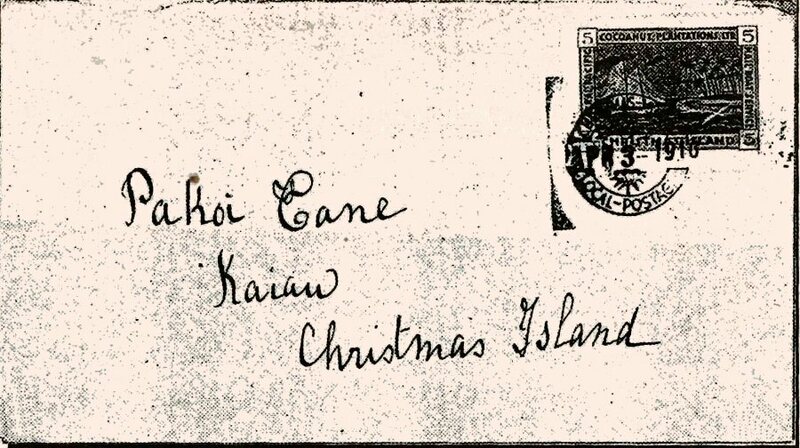 Kaiau is the native name for Paris. 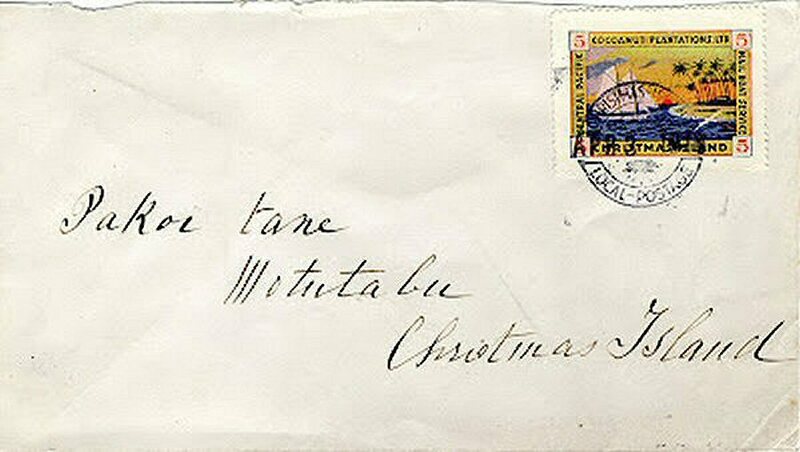 Paris is deserted in 2015. 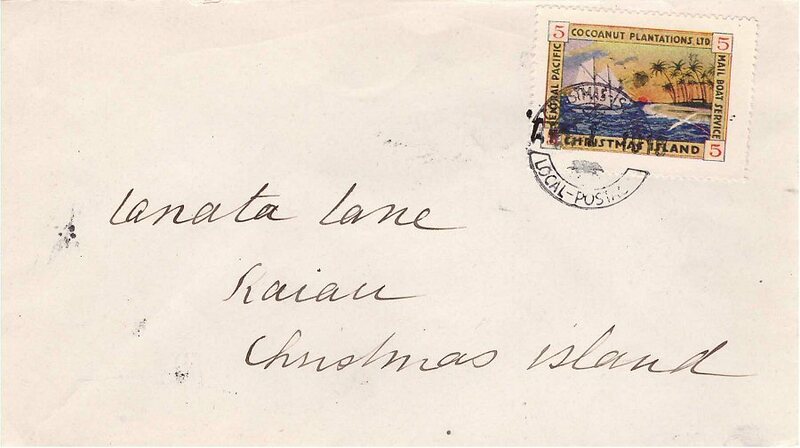 Motu (=islet) Cook is a tiny islet at the entrance of the lagoon of Christmas Island.